My thoughts and ramblings on the different parts of my life. I had a made a personal commitment not to share comments about some of the major life events that I have had to endure. When I first started to write about my weekend with The Mankind Project and our few hours of service at The Midnight Mission, I realized it was an important part of the story. More importantly I thought it would help others dealing with their own hardship. I have turned some really tough corners lately, and I believe I am in a place in which I can share in a way that is positive and healthy. So here goes…. For the past few years my personal life has been going through some great challenges. I was working full time while earning an MBA (completed in 2009), losing my home in Orange County and my marriage was ending. For most of the year I have been feeling like a failure. Failed my family, failed God, failed my wife, failed my grandfather (why him is another story)….failed myself. I was always an incredibly optimistic person, but I had become overwhelmed with trying to fight off the sense of despair. I think it made me very awkward in many ways. My confidence had been broke, and I couldn’t shake off the sense of shame, embarrassment and uncertainty. If it wasn’t for some of my closest friends I would have made it through this very dark time in my life. I’m blessed to have amazing friends and family. One of these close friends suggested that I attend a weekend retreat put on by The Mankind Project. The weekend was called New Warrior Training, and it was the weirdest weekend of my life. Like any organization, this one had its critics. All I can say is that it was a very positive weekend for me. More on the weekend some other time, but here is a quick explanation. Even with all of the progress women have made in the world, socially Men occupy most of the positions of power: socially, economically, politically. This has been true for years now. The problem is that men are damaged, wounded. Our wounds have gone untreated and are hemorrhaging. These wounded men are then making decisions about war, society, the economy, and home mortgages. The goal of The Mankind Project is to target men and begin to help them heal and behave as men of integrity. I have been through many programs that forced me to look at many parts of who I am and the man I am capable of being. All of them have been great life changing experiences. This weekend was important, not because it was some how different from the rest, rather it was timely given the greater context of my life. The New Warrior Training was a pretty intense weekend. During one of the designed exercises, I was forced to confront some feelings I have had as an 8 year old child. Nobody prompted me to do so, this was an area of my life that surfaced for me as a result. Most of these feelings are around my parents turbulent marriage. There was one moment in particular as a child in which I felt particularly responsible. In reality I wasn’t responsible, but I still felt like my parents problems were my fault. That some how, it was my responsibility to fix my family. I think I still feel this way…albeit I am coming to terms with the fact that this is an unrealistic expectation for me to have. I carried this into to my own marriage and when it did not work…I blamed myself. Like I said, I have already gone through many programs to help me address my childhood. The conclusion I am coming to is that I will not be able to make closure. This will be a life long process and a life long journey for me. It may even be something i continue to deal with at various stages of my life. Since the end of the weekend I have been trying to process much of what I have learning. Its obvious to me that I am changing, but I want to make sure I change for the better. Regardless of my childhood, and regardless at my first marriage, I still believe in the institution of marriage. I still hope to be a great husband and an even better father. Another great part of the NWT weekend was watching other men grow and change as well. One in particular carpooled with me to our weekend retreat in Arrowhead. He was facing many of his own life challenges and was hoping and optimistic that he was going to change. One particular challenge was his ability to relate to other men and have meaningful and deep friendships with them. So when he reached out to me during the holidays to see if I wanted to do some volunteer work, I was very proud of him. I love the holidays. This year I decided that it would be best for me to “party” less and commit more of my time to public service. I was struggling to find a good opportunity for a one off volunteer day. So when my MKP brother called, I jumped at the chance to volunteer. This was the same brother I mentioned earlier, so I was not only happy for the volunteer opportunity but really proud of the leadership role he was taking. I am not sharing my experience for recognition. Also please, note that I am not a very pious individual. In a way, I did this for my own self gain. Because I needed to deal with something in my own life. I do, however, hope to make volunteer work a regular part of my life. Not because I want to or have to. Just because I should. Since 1914, The Midnight Mission has been located on Skid Row in downtown Los Angeles. The organization is dedicated to helping those on Skid Row by offering them food, shelter, recovery services and employment services. Here is where we did our service. I was also able to recruit my close friend Ash, who had introduced me to MKP in the first place. He too was looking for service activity for New Years. 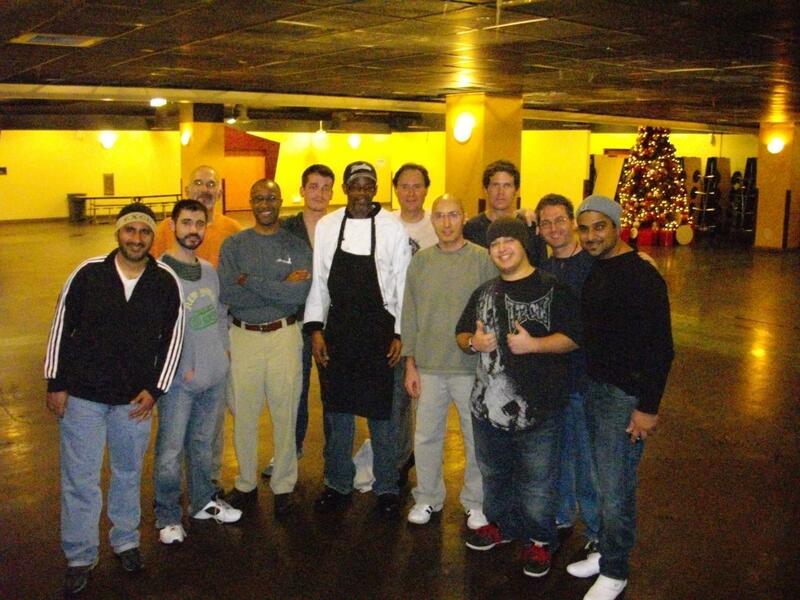 Along with 8 other men, we fed men, women and children for New Year’s Eve. It was honor for me to do so. What was ironic is that I felt like I needed to feed the homeless more than they needed me. I was fighting the flu at that time, and fortunately I was already taking antibiotics, so I knew I was not contagious. The last thing I wanted to do was to get someone with no home and no medical coverage the flu. When we arrived at the mission, I elected to take the activity that did not put me in direct contact with food. The facility itself is impressive, clean, organized, and well cared for. I have to be honest, I did feel a sense of anxiety while driving down skid row. I left my car in the secured parking garage provided by The Mission and took the elevator up to meet the other men. It was great to see them. There were some men I knew from my weekend while the others attended MKP during other years. One of the men brought his teenage son to also volunteer. On the menu was pasta, snow peas, beans, toast, greek yogurt, and grape juice. All the food was placed on a single serving tray that our customers would line up and come and pick up. They sat down ate their food and left. In a period of two hours we were able to feed 691 people. I have no benchmark to know if that is a good number or bad. To be honest, I was hoping for a bigger number. However, many keep telling me that its pretty good. I know the big question in your mind: What were the homeless people like? Well, you need to experience this yourself, so I’m not going to tell you. I will tell you this; I was shocked, scared, and happy to see many of the people we serviced. They came from all sorts of backgrounds. Its not my job to judge them, only to help. I stand by the fact that I needed them more than they needed me. I didn’t do much but feed and then clean up after them. More importantly, I only helped them for one meal. Their struggles continue. My conclusion from the whole experience? Not really sure yet. I just know that I am product of what I did and that my goal is to continue to work with people throughout the year. Indeed, I have seen so much pain in my life. However, so have others, and while I am able and have the resources to do so; I should. You think you know technology? Do you really think you understand how and why technology has evolved during the past century? I am confident the video below will help you understand. Social media practitioners recognize that social media is a socially driven phenomena and not a technological one. This technology enabled trend has given consumers a voice in the direction and development of the products they consume. Companies that recognize the growing voice and power of the consumer will seize an opportunity to build brand equity much faster and much more cost effective than in the past. They will be able to successfully capitalize from social media by successfully building a relationship with their constituents. The strength created from this type of relationship will make a brand more competitive. In order for a relationship between the brand and consumer to develop there must also be a vibrant community that rallies behind the brand. An example of such a relationship are products like the iPhone and iPad . These consumer products have a vibrant and loyal community. Even though many critics slammed the iPad, consumers demonstrated their power by lining up in droves to purchase the product the weekend it went to market. The crowd has spoken, and the iPad is now another strong product in the Apple portfolio. The iPad is a great B2C example. I was fortunate to discover a vibrant B2B community that mirrored this behavior. Similar to the Apple iPad loyalists, the Informix community behaved as an equally passionate community. In this post, I am not going to spend time talking about the Informix product, rather the people that are passionate about the database. My next several blog posts will be about the Informix community and my experience and interactions with them. Please understand that my views are mine alone and are not that of IBM. Also, I am a newbie with Informix…so I still have a great deal to learn about the community. Sociologists and community advocates often comment on the collective behavior of communities. I would add that there are members of that community that impact the larger population. These individuals have the personality and drive to shape the identity of the larger population. Informix was a acquired by IBM several years ago and is a part of the Information Management portfolio. Even before the acquisition, the Informix community was a passionate group of people. I was recently brought in to the IBM Informix team. My first introduction to the Informix community was at the 2010 International Informix User Group (IIUG) Conference in Kansas City the last week of April. Attending the IIUG user conference was a unique experience for me. I knew that B2B customers have products that they love, but I never actually experienced this in person. Informix users have a great deal of pride in their work and are incredibly loyal and passionate about the Informix product. Yes, database developers and managers are incredibly passionate people! IBM is fortunate to have inherited these individuals when Informix was acquired. The acquisition concerned many of the Informix users. They were worried that IBM would absorb the product and sunset it. I was not a part of IBM at that time, and don’t really know what the motivations were for the acquisition. Even if that were true, it is fair to say that Informix is here to stay. After years of support, it is clear that IBM has no desire to sunset the product. IIUG is an independent user group that works very closely with IBM to support the user community. 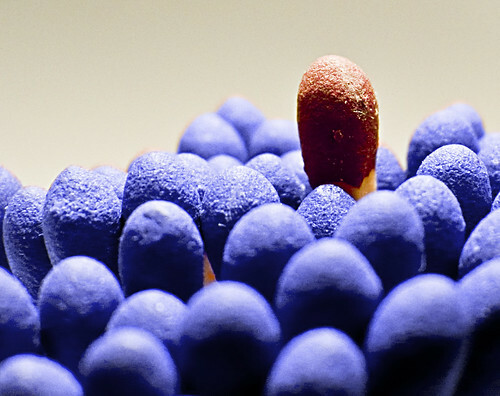 Every community has its leaders that stand out. Most would agree that the current IIUG President, Stuart Litel, is one of the main reasons why Informix is alive and well at IBM. Stuart’s IBM network is strong and he never hesitates to leverage his connections when he needs to get something accomplished. While for many this may be a nuisance, I believe it is this trait that has kept Informix thriving. With his leadership, tenacity and persistence, Stuart has not only managed to keep Informix as a strategic part of the IBM database portfolio, but has also managed to keep the user community united and energized. The annual IIUG Conference continues to grow and many old Informix customers are retuning to IIUG and getting involved. As a new addition to the Informix community, I am looking forward to not only working with Stuart, but learning from such a senior individual. Another individual that really stood out for me at the IIUG conference was Miguel Carbone. Miguel has been an Informix customer for quite some time. He was one of the 2010 IBM Information Management Champions. This is an IBM award given to customers and partners for dedication to the IBM Information Management Community. Miguel stands out for several reasons. He is more than just a loyal Informix user, he is an advocate. Currently he is working on building an Informix Center of Excellence in Brazil. Miguel has also translated many of the IBM Informix Redbooks into Portuguese, and he also has his own blog (in Portuguese) . Miguel’s leadership in Brazil helps him connect with other customers in Brazil. He convinced 4 additional customers to fly to the conference with him. The individuals he brought are a part of a large Brazilian company that is the largest and oldest Informix customer in Brazil. This firm uses Informix in every part of their business and is the standard database used company wide. His work in Brazil and his network allows him build an active community. This single individual in a BRIC nation is able to create a foundation for other users to identify themselves with the Informix product and have a voice with IBM. More importantly his actions support a call to action for existing Informix users. Because Miguel believes that Informix is the best database on the market, he enjoys evangelizing to prospective customers and engaging with existing ones. These two leaders are not the only IBM Informix users that stand out. I will cover more Informix leaders in future posts. Stuart and Miguel are not employees of IBM nor compensated. Their work is voluntary and there actions are sincere. They are driven by there desire to evangelize the Informix product to the world. I believe that social media can take individuals such as Stuart and Miguel and turn them into personalities much larger than what they are today. These two leaders can take their passion and channel it to a larger audience. This year I will be working very closely with the IBM Informix community and IIUG to give a voice to thousands of passionate end users. It is always people that make things happen. The technology is just a facilitator. One of the great results of mobilizing a community of any kind is its ability to take action towards a specific goal. Most recently we saw it with the campaign to elect President Barak Obama. However, social action has been a part of civilization for ages. I have always been fascinated by India’s Independence movement. It is not only rich in content about the social world, but rich in how a community can mobilize to take action. Gandhi’s campaign not only inspired people into action, but it was a quest for something so much more than independence. Our actions are reflection of who we are, and who we are is shaped by our actions. When Mohandas Karamchand Gandhi died, his possessions consisted of two pieces of homespun cloth, one pair of spectacles and his pocket watch. He came as close as possible to obtaining his goal of facing death as a zero. It is commonly noted by many that this simple bald headed man single handedly pushed the British out of India. Gandhi brought down an empire, suspended the independence movement and ended civil war without owning any lands and holding any public office. Ahimsa and Satyagraha were more that just socio-political reform, rather, they were a way of life, they were his religion, and they were the quest for truth. For Gandhi social reform and his spiritual beliefs were one in the same. It was the intersection of the larger social world and an individual’s everyday living habits. To Gandhi India was not just a place but an idea. The idea being that the nation-state should be dedicated to the quest for Truth. The every day norms, mores, daily rituals would be dedicated to the search for Truth. Gandhi’s idea also was such that the quest would be interwoven with social action. Taking action is very important. I want to note here that Gandhi never advocated that people do nothing in the face of adversity. Many misunderstand non-violence, with non-action. Gandhi was very clear, that every society and every community must not only take action, but take action that was in the pursuit of Truth. Action and Truth would work together rather than existing separately. The society would not have the government, the individual, and religion existing as separate entities rather; the nation would be a place where the three would be constantly interacting in an intricate dialogue with each other. For Gandhi, this idea would also dictate his personal life. The quest for Truth not only takes place in the larger social schema but in the every day lives of all people. His belief comes from the Hindu teachings of the Bhagavad-Gita. An important concept of the Gita is Dharma. Dharma is the playing field in which all living beings play out their destiny. Through Dharma the individual makes any series of decisions that will determine the outcome of their soul in the eyes of Truth, or God. The complex concept of Dharma also includes the individual’s duty, religion, law, and most importantly one’s life path. The heuristic conception of Truth is the most important aspect of Gandhi. He derives his understanding of Truth and Dharma through his thorough study of the Bhagavad-Gita, the story of the battle between the Pandavas and the Kauravs. Although many literal interpretations exist of the Gita, I will take a more metaphorical interpretation. The battle that took place was on the field of Dharma; it was a struggle for Truth. The lessons of the Gita state that the outcome to one’s actions do not matter, rather, it is the means in which one follows the path to Truth that holds significance. In the Gita when Arjuna is about to go into battle he decides to stop because he does wish to fight because he realizes that he would be killing members of his own family. His chariot driver and friend, who happened to be the Lord Krishna, begins to give Arjuna guidance. Krishna says that he did not exist, neither did neither Arjuna or all the kings they were fighting against. He continues by stating that life and death really do not exist. For the soul there is never birth and there is never death. Life and death are just aspects of the physical world, but the soul is much larger and grander than the physical body. The soul acquires and discards bodies the way a person would with clothing. The lines of the Gita that must have truly impacted Gandhi is when Krishna states that as a person may discard their own garments so will the soul and a self-realized soul is not bewildered by these changes. Therefore, if Arjuna kills these people their bodies will be discarded, but their souls will endure. As a ksatriya it is Arjuna’s duty to be on the battlefield. We all have to die some day and it is better to day as a seer of truth rather than one who runs from their duty. Gandhi also believed that Dharma, was also Truth because Truth could only be found through it and the means in which one searched for Truth is the most important aspect of obtaining Truth. Thus, Gandhi believed that India’s quest for Independence was the battlefield that he had to fight upon. Just like Arjuna had a duty to fight, Gandhi had a quest for justice and for Truth. Through self-realization and the freedom movement of India would not only undergo its quest of institutional Independence, but its quest for Truth. The important aspect of the quest was that India could have eventually gained independence without Gandhi, but the means at which it did would greatly define India’s future. The means by which Gandhi would fight for reform and self-realization was Ahimsa, the Hindu word meaning without violence. More than social reform Gandhi thought of it as a way of life. For example, Gandhi wished to become free from desires, such as sexual desires. He wanted to overcome sexual desires that by controlling it, and this was a very difficult thing for anyone to do. Not only did it affect his wife but it also affected his marriage. Brahmacharia was one of the fundamental lifestyle changes that Gandhi underwent through his path of self-realization. For Gandhi there was an intricate relationship between his experiments with brahmacharia and his development of the nation. When one is able to control one’s sexual desires, then one will be able to think and see the world clearly and be a seer of truth. This also means that the nation in Gandhi’s eyes would be stable because it has achieved control over its desires. The Indian mores, norms, and material cultural have been greatly influenced by the people relationship with nature and the surrounding physical environment. The belief system is built on the premise that humanity is a part of Nature, as opposed to the ideology that Nature has been created so that humanity could manipulate and control it. Being a product of a social system that was so strongly interacting with nature, Gandhi’s belief system was greatly influenced by his relationship with Nature. Thus, Gandhi’s use of the Ashram was so that the search of justice was also part of the pursuit of Truth. The Ashram allowed the people to interact with nature and live harmoniously so that they would become free from the temptations of material wealth, meat eating, and sexual desires. Here Gandhi took the traditional way of life as taught by Hindu discourse and fused it into his contemporary life and time. Here was where Gandhi ran his newspapers, took a stand on untouchability, spun cotton. The Ashram was an experimental society, in which the very fabric of the social system was committed to finding Truth. It was almost as if Gandhi founded his own country free from industrialization and modernity. Gandhi used his beliefs to make reforms in the macro society as well as the micro. Here Gandhi would mold his vision on the Indian nation-state. The British control of the Indian people forced Indians into abject poverty and despair. It was the greed and selfishness of the Empire that had lead to the oppression of India. Imperialism survived on the desire for more wealth and the lack of control in the desire for material wealth drove the Empire to control India, its people and the land. One that adheres to greed does not see that such things are temporary. Like when Krishna explains to Arjuna, that such things can easily be discarded but the soul endures, contaminating the soul with such desires the individual is distracting the soul’s natural wish which is to be a part of the force of Truth. With this story of the Gita lies the framework for Gandhi’s conceptualization of apigraha-non possession. Spinning was one of the ways that he was able to clothe himself without giving into the desire for possessions. This is a perfect example of the dialectical nature of Gandhi’s relationship with the macro and the micro. By using the charka to spin cotton and not wearing European suits, Gandhi was not supporting British economy. When the nation followed they not only protested the Empire’s nature of greed but also controlled their desires for material goods. Thus, Gandhi’s actions would inspire great social and spiritual leaders of all people and all places in the years to follow. Satya, which is derived, from the word Sat meaning to be, means Truth and agraha means force and together the words mean a force of Truth. “The word Satyagraha is often most loosely used and is made to cover veiled violence. But, as the author of the word, I may be allowed to say that it excludes every form of violence, direct or indirect, veiled or unveiled, and whether in thought, word or deed. “It is a breach of Satyagraha to wish ill to an opponent or to say a harsh word to him or of him with the intention of harming him…” and so if one obstains from violence in the very presence of violence then one is upon the path to Truth (Prabhu and Rao 167-168). In fact, the true form of Ahimsa will arise when an individual has an opportunity to do the greatest damage and elects not to do so. For example, when the British were at war Gandhi did not protest and he went as far as to create a medical regiment to support the British. This is because any action taken against one’s opponent when they are weak is considered an act of violence. Thus, if Gandhi acted against the British it would be violent because they were already weakened by war. In the Great Salt March, Gandhi did not allow women to march because of Ahimsa. The British would not retaliate if women were marching. That means the playing field on which Gandhi is fighting would not be equal and thus this would violate Ahimsa. The art of civil disobedience was not only obtaining justice, but also allowing the perpetrator of in-justice to understand the justice in the cause for which one is fighting. This civilization is irreligion, and it has taken such a hold on the people in Europe that those who are in it appear to be half mad. They lack real physical strength or courage. They keep up their energy by intoxication. They can hardly be happy in solitude…this civilization is such that one has only to be patient and it will be self-destroyed (Pg33). Swaraj was not about fighting the Empire; it was about changing one’s life and one’s perspective on the social world altogether. The desires of the Empire could plague Indians as well. Therefore, India would need to create a social system and society that resisted imperialistic desires. Gandhi was a simple man with questions regarding God, spirituality, and the social world. However, he found some of the answers through his social reform and self-realization. His ideas were not immediately created but they evolved over time and with experience. The field in which Gandhi found Truth was in the Indian freedom movement. He offered not just freedom, but a way out from the madness that the civilized world has created. Gandhi’s quest was God, and no man can deny the fact that we all are on a quest for the Truth. This quest has driven all people to define morality, human rights, and ethics. Gandhi offered humanity with a way of life rather than just a political ideology. Gandhi believed that what is accomplished in the nation can be accomplished in the home. The only force of change in this world is the force of Truth.